Captain Marvel has taken over the global box office and set up some pretty fantastic stakes for the next chapter, Avengers: Endgame. On March 15, Marvel Studios dropped the first trailer introducing Brie Larson‘s Carol Danvers aka Captain Marvel into the fold — thanks to a hilarious scene with Chris Hemsworth‘s Thor. Marvel Studios first teased her arrival in a post-credits scene last year in Avengers: Infinity War. So how will Danvers help the remaining Avengers defeat Thanos and save the world (again)? Read ahead for three very compelling fan theories. Warning: Multiple spoilers for Captain Marvel and Avengers: Infinity War ahead! This lil’ nugget was spurred by the post-credits scene of Infinity War, where Nick Fury (Samuel L. Jackson) pages Captain Marvel before being Thanos-snapped into dust. It’s plausible to think time travel is a factor. How else could you explain her appearing in presumably present-day to help the Avengers defeat Thanos when her film established that she’s from the ’90s? However, this one was debunked after Jackson recently clarified that he was only joking when he said Carol Danvers was “one of the few people in the Marvel Universe that can time travel” in a previous interview. And Larson herself echoed that fact in a separate interview with Wired. But that still doesn’t explain how she appears — practically out of thin-air — in the Avengers lab with Captain America (Chris Evans), Black Widow (Scarlett Johansson) and War Machine (Don Cheadle) in the first post-credits scene of Captain Marvel. We don’t yet know the full extent of her powers. Yes, she can fly, is super strong, can breathe in space, and basically has energy-blasting cannons for hands. But what else can she do? In Captain Marvel, Danvers got her abilities after absorbing the blast of Mar-Vell’s “light-speed engine” — which Mar-Vell (Annette Bening) built by using the Tesseract aka The Space Stone. Yep, the same stone Thanos wields in Infinity War to galaxy hop to wherever he wants. So, time-space travel, anyone? As pointed out by USA Today’s Brian Truitt and Mashable’s Alison Forman, in the second post-credits scene of Captain Marvel, the adorable Goose the Cat/Fleurken is seen coughing up the Tesseract, which he’d eaten for safekeeping earlier in the film. Some have argued that the scene actually happens in the post-Thanos-snap world, and that the surviving Avengers, aided by Captain Marvel, will acquire and use them in a grand showdown with Thanos in Endgame. Or, could it be that Ant-Man’s (Paul Rudd) ability to shrink down and travel through “time vortexs” within The Quantum Realm means that he and Captain Marvel were able break all the original Infinity Stones in an alternate timeline so Thanos couldn’t use them? That, of course, feels a little too clean for an ending, as it would practically render the events of Infinity War irrelevant. Fans have waited more than 10 years for this epic conclusion, and that deus ex machina — a plot device solving a film’s major conflict unexpectedly — is hardly satisfying. I gotta admit, I’m intrigued by the theory going around that the Skrulls — refugees on the run from the Kree/Starforce — will return in Endgame to help the remaining Avengers save the other half of existence. Captain Marvel vowed to help the Skrulls find a new home at the end of her solo film, so perhaps they have some advanced intelligence they’re willing to share? Also, this week, fans speculated that Nick Fury is actually a Skrull in disguise and had been one for years, thanks to a subtle scene in 2015’s Avengers: Age of Ultron. Quick recap: In Ultron, Fury shows up to Hawkeye’s (Jeremy Renner) safe house and tells the team what he suspects A.I. super villain Ultron (James Spader) is up to. And while he does this, Fury cuts his sandwich diagonally. If you remember from Captain Marvel, Danvers asks the young and spry Fury to prove he’s human and not a shape-shifting Skrull by sharing personal details about his life that no one else would know. One of them, apparently, is that if a sandwich is cut diagonally, he can’t eat it. 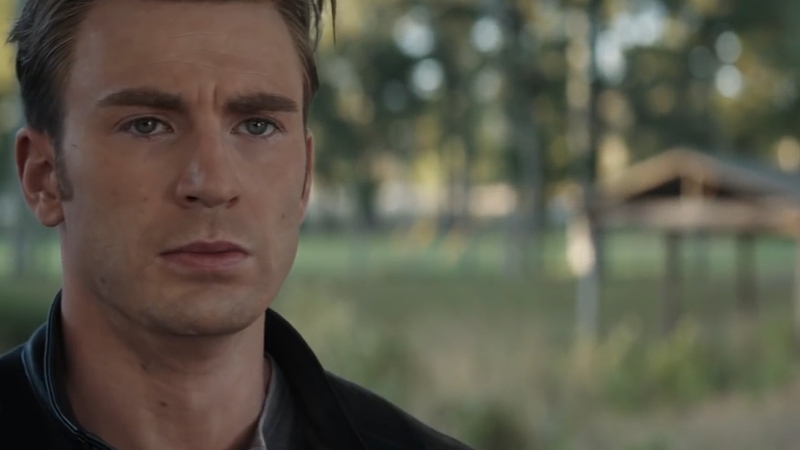 Fury also “died” in Captain America 2: The Winter Soldier. I put “died” in quotes here because, yes, the super spy faked his funeral so he could go underground after S.H.I.E.L.D. fell. But wouldn’t it be fun to imagine that our good ole pal Talos (Ben Mendelsohn) from Captain Marvel had been keeping tabs on the Avengers all along? OK, I thought of this one as I realised that A) I’m obsessed with that little ginger cutie and B) I noticed that Thanos has several deep scars on his face. Take a closer look and they kinda resemble… scratches? Now, we know from Captain Marvel that famously eye-patched Nick Fury lost one of his peepers after getting scratched by Goose, a tentacled alien called Fleurken that’s disguised as a house cat. Could it be that Goose had previously tangled with The Mad Titan and left his mark? Sure, he’s got claws and literally eats bad guys for lunch. But I bet he’s got some fantastic powers we have yet to see. Is it weird that I’m putting money on Goose being the Endgame hero we need? Didn’t think so, either. Captain Marvel is in Australian cinemas now. Avengers: Endgame arrives on April 24.